RPM Slash 2WD Front Skid Plates, Black Discounts Apply ! RPM81252 - RPM Slash 2WD Front Skid Plates, Black. 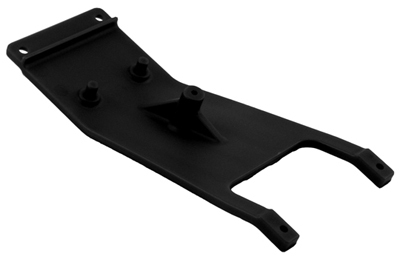 RPM front skid plates for the Traxxas Slash 2wd are designed using the same principles we used when creating ourView of bell crank posts installed Slash 2wd rear skid plates. Our ultimate goals were to create a front skid plate that simplified maintenance, improve durability and improve the appearance of the truck. These skid plates far exceeded those goals! Tech Notes: RPM skid plates are designed for and only guaranteed to fit a stock Traxxas Slash chassis and chassis components.